If you have survived the high cut-offs of University Of Delhi, of course you are one of the luckiest ones. 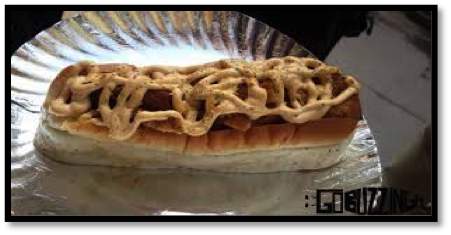 As your college life is going to start we are here to introduce you to some of the food joints in North Campus and South Campus of the University. These are the favourite food joints of your seniors. 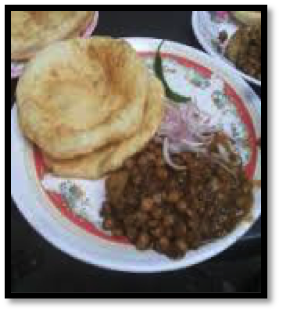 It is one of the best places where you can have the yummiest Chhole-Bhature. It is situated at Malkaganj, Kamlanagar, New Delhi. It is a small shop just like a Hole in the Wall, but serves you the best plate of finger licking food. 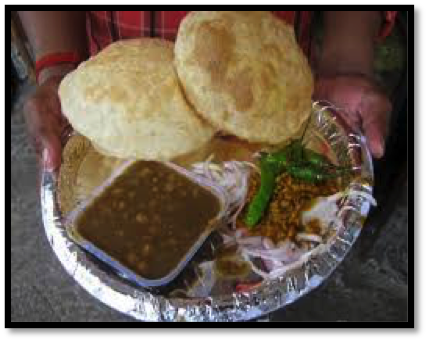 A plate of Aloo Wale Bhature and Chhole costs Rs. 35 whereas a plate of Plain Bhature and Chhole costs Rs.30. You must visit this place. We promise, once you go there, you will visit it again and again. It is a small but popular food joint in North Campus. 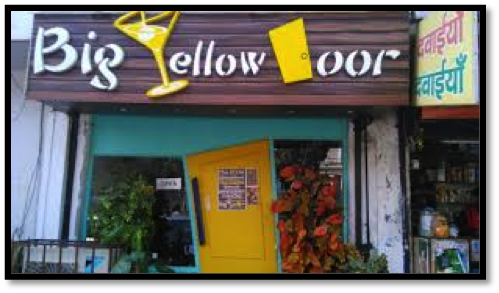 It serves Lassi and Chhole Bhature. It serves Samose but only in the evening. It is situated at 72D, Kamlanagar, New Delhi. 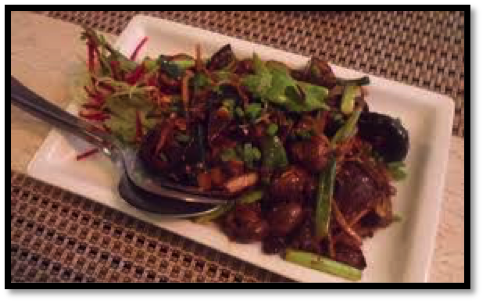 If you are craving for Asian food; be it Chinese, Tibetan or Thai; you must visit Shagun which serves tasty Asian food. It is most popular amongst girls. You must try Chong do chicken, yaki gyoza, prawn noodles and garlic chicken. It has an excellent service and costs around Rs. 650 for two people. 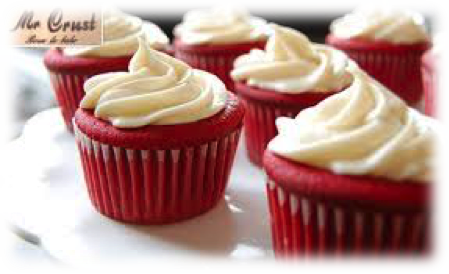 If you have a sweet tooth then you must visit Mr. Crust Bakers, Shop No. B 29/B, Opposite Mother Dairy, Vijay Nagar. 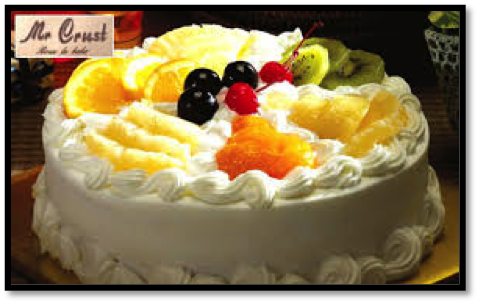 It has large collection of yummy cakes and pastries at an unbelievable price. It also serves snacks which are extremely satisfying. It is a popular North Indian restaurant in North Campus of Delhi University. 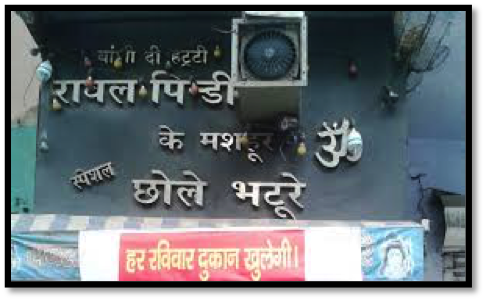 It is situated at GTB Nagar, DU. It is family restaurant and the food is reasonable priced. 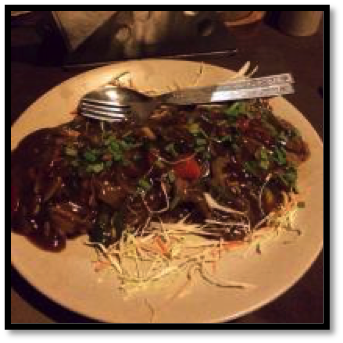 The following food joints are situated at Satya Niketan, opposite to Venkatewshwara College, South Campus, University Of Delhi. When it comes to Satya Niketan , even North Campus cannot beat it! 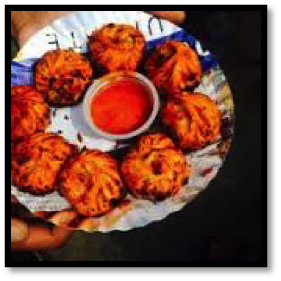 If you love momos’ more than anything and if you are curious to explore more varieties of it then this is your final destination. 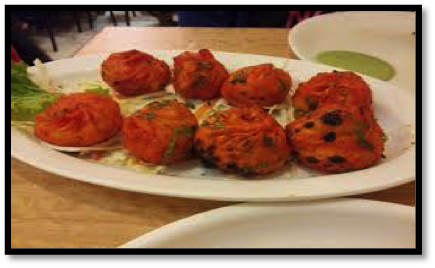 QD’s is famous for its Tandoori momos’. They are big, yummy and satisfying. QD’s also serves Mughal and Chinese but honey potato chilly and momos’ are the students’ favourites. Do not forget to dine in at this place! It is an amazing place to hangout with friends and enjoy amazing food. 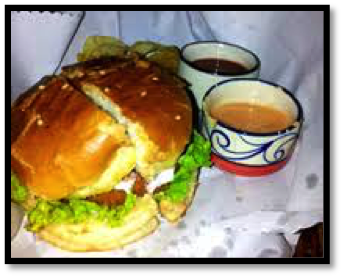 You must try BYD cheese bomb burger, Cheesy Nachos Mexicana, Butter Chicken Pasta. It is pocket friendly and serves absolutely delicious food! Bake day has huge variety of dishes that are delicious and very reasonable. 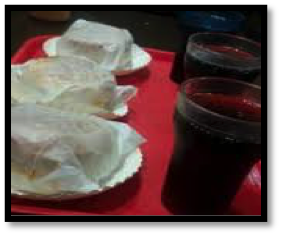 It has varieties of cakes and pastries .Burgers, hot dogs and sandwiches served here are yummy and pocket friendly. White sauce pasta is one of the students’ favourites. Want a quite bite? Head to this place. 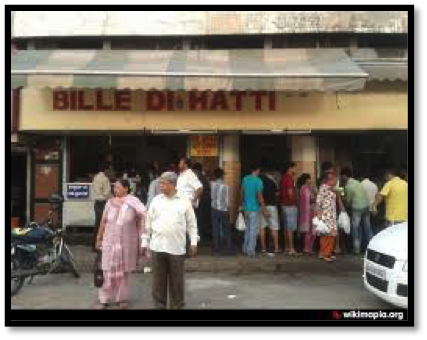 This is one of the favourite food joints for every DU student studying in South Campus. 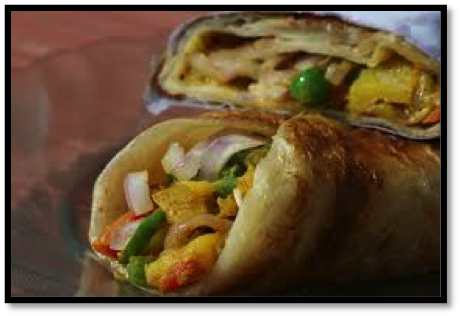 Chowranghee serves yummiest veg and non-veg rolls. It also serves Mughal and Chinese dishes but Rolls and tandoori momos’ are damn good. It is so popular that Chowranghee Lane has itself become a brand. It is heaven for chocolate lovers. They serve yummy waffles , chocolate shakes, chocolate pizza and much much more. 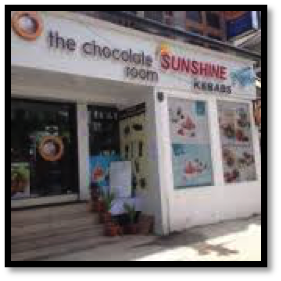 If you have craving for chocolates then , you must visit this place.